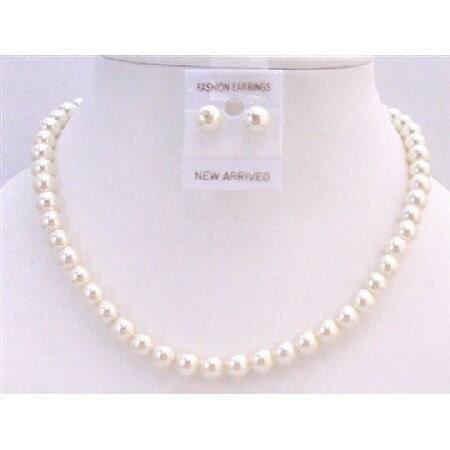 NS446 You are looking at a beautiful Pearls Jewelry Necklace Set in adorned with Cream Pearls. This delicate yet elegant Set, that work magic as they delight the senses! A party on your Neck and ear lobes ... festive. Bought the complete 3 set and they turned out beautiful. Exactly like the picture! Exactly as described in post!